In a past life, I was a social media manager for NVIDIA, creating marketing plans that raised awareness for products. Today, I am a marketing and social media manager for salesforce.com, creating marketing plans that raise awareness for our employer brand (#dreamjob). Initially, I thought this would be a big leap, but I’m beginning to see that there are many parallels between product and employer marketing. While product marketing managers build campaigns that feed sales pipeline, the campaigns I build feed our candidate pipeline. 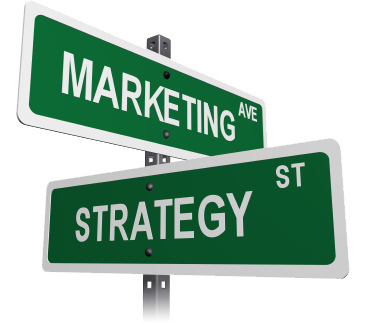 And both styles of marketing raise awareness for your overall company brand. The differences between the two roles are pretty interesting as well. In product marketing, you have (in most cases) a large supply of product. IE, you’re trying to sell as MUCH as you can, to as many people as you can. Whereas with recruitment marketing, you have a very limited supply of jobs, and you’re only trying to market to qualified candidates. As a result, you’re much more limited with recruitment/employer marketing. You only want to market to the people who are actually qualified, for the very limited jobs that you have. It’s been a fun challenge to tackle, and a huge learning curve. Internal mobilization: Feeding recruiters and employees compelling content that they can share with their networks, and use CTA’s that encourage network connections to ask about referrals. Luckily we get to use our own product, Chatter, which makes it really easy to share information internally. I’ll be sharing more of my specific findings and best practices here in the future, so stay tuned! And if you have any advice, please let me know in the comments below.